Spring has many heralds in St. Louis: the Cardinals are playing in Jupiter, the Missouri Botanical Garden is sprouting crocus (croci?) 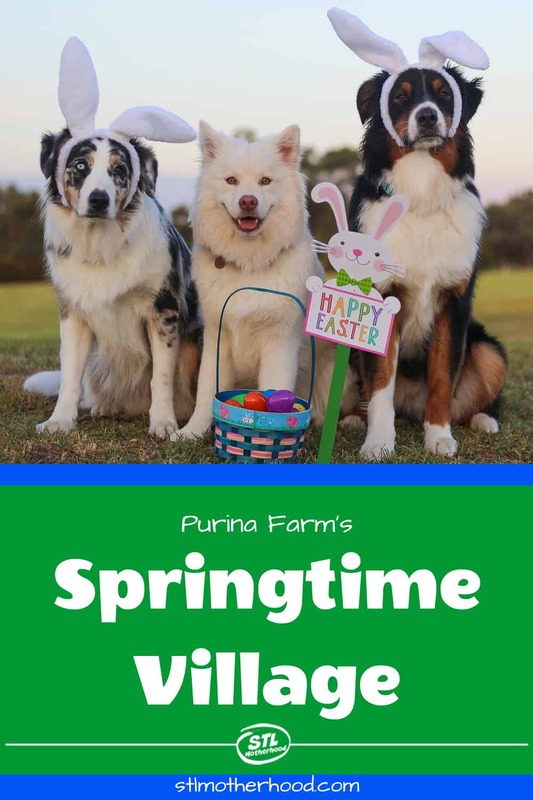 and Purina Farms is hosting the Spring Time Village. When does Purina Farms open for the season? On March 23, 2019 Purina Farms in Gray Summit–just a big bunny hop from Eureka–will open for business once again! Springtime Village, the Farm’s annual nod to Easter, will be held April 10-14 and April 17-20 (the two weekends before Easter). There’s plenty of fun for little kids anytime you go to Purina Farms. But Springtime Village is when they have a bumper crop of baby animals to admire and a special visit by Peter Cottontail. Kids under 12 can participate in the Great Golden Egg Grab by selecting a prize winning egg from a wagon in the Visitor’s Center. One egg will be worth $50. (My kids got a piece of candy last year, they were pretty happy with that.) The egg grab is ONLY ON THE WEEKENDS. Are there Easter Egg Hunts? We’re waiting on details about this year’s Easter Egg Hunt. But it’s usually an RSVP event with lots of age categories. 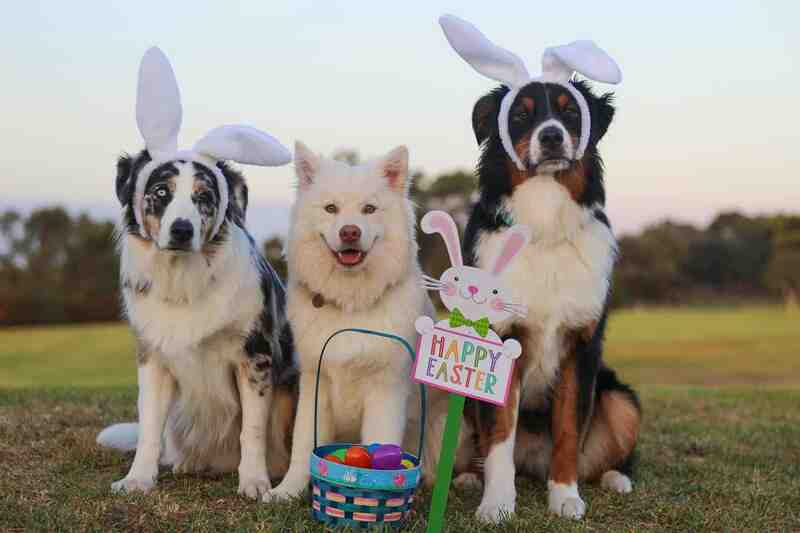 This year there’s also a Doggie Egg hunt on April 13. You’ll need to RSVP tickets, prices are not yet listed. Visiting Purina Farms is free, but you need to tell them you’re coming in advance! Call them at 314-982-3232 or 888-688-PETS (7387) during the week to set up your visit. This spring the farm is open Wednesday to Sunday, from 9:30am to 3:30pm. Purina Farms will be closed on Easter Sunday.